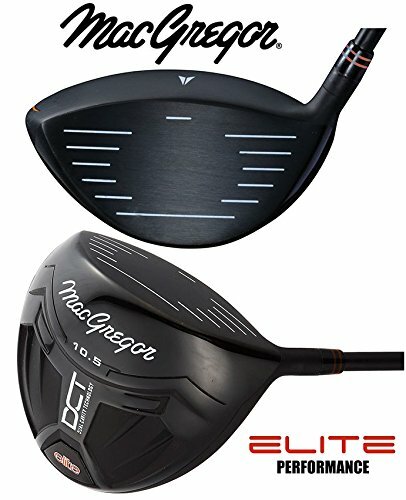 MacGregor DCT Elite Graphite Mens Golf Package Set Deluxe Response Cart Bag New 2019 This Is MacGregors Flag Ship 2017 Golf Set large 460cc Titanium head with an ultra-thin face design provides explosive ball speeds off the face for incredible distances. A stretched sweetspot and high MOI will help to raise forgiveness on off centre strikes for improved accuracy and control. MacGregor have fitted a premium lightweight graphite shaft that will help increase the stability of the head at impact and also provide a consistent ball flight. 460cc titanium driver comes with a 10.5* face. The premium 431 stainless steel head features an undercut cavity which lowers the CG for a much improved launch and extra forgiveness. Perimeter weighting on each of the irons pushes weight to the outside to raise the MOI and make the results of your bad shots a lot better. 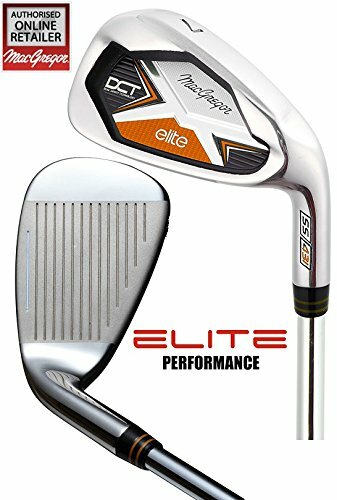 The long blade length of the DCT Elite irons helps to widen the sweetspot across the whole face for further forgiveness. For improved feel and performance MacGregor have fitted a premium soft compound grip. The Response DT putters feature MacGregor’s ARC Tech face miling technology offering improved feel roll and distance control. Offering the perfect blend of features and storage in a sleek lightweight design, the TP-1 stand bag is the ultimate carry bag from MacGregor. Available in five colours, the padded crossbow dual strap, thick hip/back pad and lightweight stand system make the Tourney Plus a pleasure to carry on the course. Eight pockets provide ample storage while a 9” 7-way divider top provides maximum club organisation. 7-way top with with colour-coordinated air mesh cushioned fabric and integrated grab handle. Crossbow dual padded shoulder straps and thick hip pad for maximum balance and comfort. 6 strategically placed pockets including: fur-lined valuables pocket, clothing pocket and ball pocket. 2 open pockets: 1 water bottle pocket and 1 scorecard holder.